Pastor Sean Sears planted Grace Church in Avon, MA in 2005. Starting with 35 people, Grace now averages 1,800. Grace Church has planted four new churches in the Boston area with two more launching in 2018. 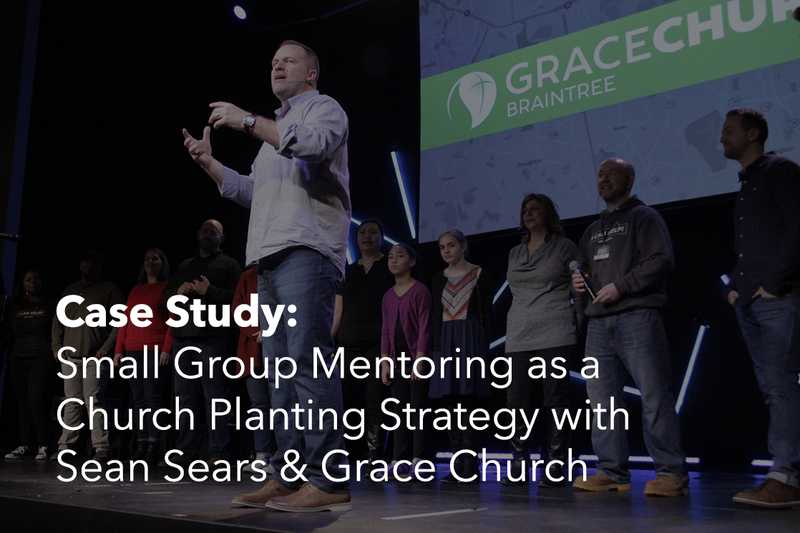 As a part of his planting strategy, Sean implemented Radical Mentoring to identify and develop the leaders at Grace who may be called to help lead new church plants. Radical Mentoring spoke with him about this experience . . . In your opinion how does the church do in identifying and developing leaders? Generally, the church does a poor job identifying and developing new leaders. While pastors are always praying for new leaders, they fail to recognize the leaders God has already sent them. They have managers, supervisors, entrepreneurs, and business leaders sitting in their pews every week. We just haven’t done a good job showing them how God has prepared them to use their leadership abilities for His kingdom purposes. How has the church adapted to this lack of leadership? The church, at large, has resorted to hiring leaders from outside their congregations to lead those in them. But we believe the future lies in the church’s ability to identify, train, and release the untapped potential of the leaders who have already bought into the mission and vision of their local church. As church planters, we’ve been forced into doing it this way, but after seeing it work, we’re now doing it intentionally as part of our church development strategy. So, how has your perspective on leadership development changed over time? I was introduced to Radical Mentoring by Brian Moore, the pastor of Crosspointe Church in Anaheim, CA. When he got to Crosspointe in 2012, it was a dying church of 70, but five years later, they now have over 1,200 in attendance every week. Brian told me about Radical Mentoring and credited much of Crosspointe’s growth to small group mentoring and its impact on their core group of leaders. I wanted God to do in our church what’d he’d done at Crosspointe, so I thought I should give it a shot. We’ve had 36 men go through Radical Mentoring with me over the last three years, and we have an 80% success rate. Success meaning, they finished the year, are growing in their marriage, serving in our church, and giving generously of their time and resources. What problem has Radical Mentoring helped you solve? Radical Mentoring helps me connect the dots. During the yearlong mentoring relationship, the guys begin to see the connection between their skills, experiences, relationships, and passions and the plan God has for their lives. They start looking for ways to apply themselves to the mission of God in every arena of their lives. And that has a tangible impact on their development as leaders in our church family. When any area of ministry looks for potential leadership, they often step into my office and ask, “Who’s still not plugged into leadership from your last mentoring group.” It’s been awesome to look at our leadership pipeline and see how many of the guys started in a Radical Mentoring group. In fact, I’m about to start our fourth group for married guys and our first for singles. We’ve also found a program to help our ladies become mentors. What problem does Radical Mentoring solve for church planters? One of the accidental discoveries we made during this process is that the guys from our mentoring groups become more passionate about the local church. So much so, that they’re volunteering to help us launch campuses and new church plants all around our city. If we had known about Radical Mentoring sooner, we believe there would be more churches in our area right now than there is currently. Which led us to develop what we call our Pew-to-Pulpit strategy. Radical Mentoring is the first in a four-step process for our potential church planters . . . taking them from leading themselves to leading others to developing others to be leaders. It’s integral to our primary church planting strategy. Last question, what message do you have for current and future church planters? If you want to plant a church, you have to start by developing your core team. You can’t plant a church on your own, it is too hard, and there is too much work to be done. But you already know that. 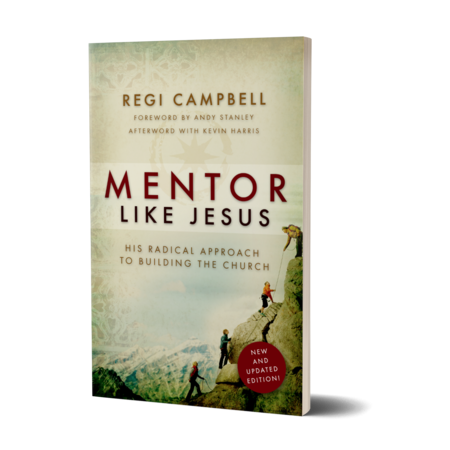 What you may not know is Radical Mentoring provides a proven process for developing the untapped leadership potential in the lives of those God has already sent you. Small group mentoring can help you engage your men, build your core group of leaders, and transform your church. Our free resources equip you with all the tools to launch a sustainable mentoring program. Subscribe to our blog to receive twice weekly posts aimed at encouraging and developing you as a mentor.